The most important crops that that fed the ancient peoples of the prehispanic Southwest U.S./northwest Mexico (SW/NW) came from Mesoamerica. The three sister–maize, beans, and squash—and less prominent crops moved at different rates from their homeland to the south into the SW/NW. The most important Mesoamerican crops, with one exception (OK, maybe two), that could have been grown in the SW/NW ultimately arrived here. 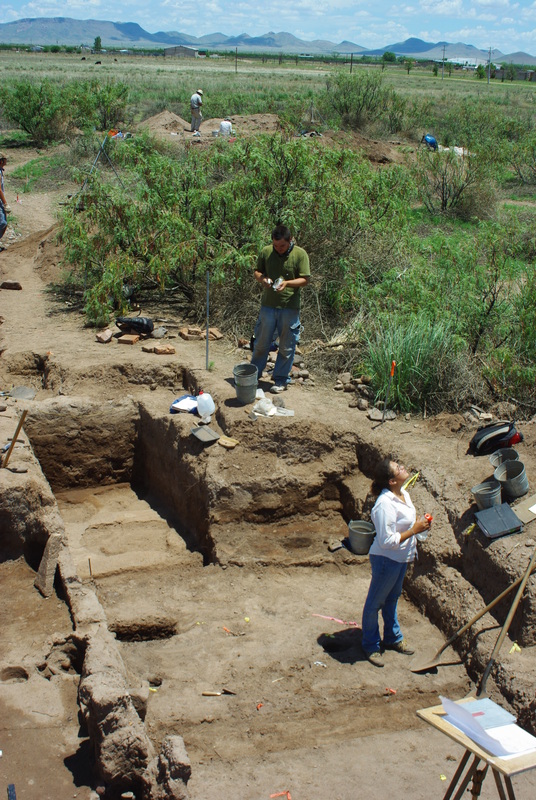 Although not grown in the SW/NM, even cacao’s presence in the SW/NW further reinforces the view that there were few impediments to the flow of crops and foods between Mesoamerica and the SW/NW. The one exception is the cultivated chile, Capsicum annuum. While widespread in Mesoamerica, ancient chile remains are absent the SW/NW. Adding further to the mystery of their historical absence is the fact that chile became an icon of the SW/NM food, became an important ingredient in SW/NW cuisine beginning with the Spanish arrival, and today are an important regional crop in the SW/NW. Why didn’t chile travel a few hundred miles north when it spread widely and very quickly into the Old World after European contact with the New World? After all, what would Hungarian, Chinese, Thai, and various African cuisines be without chile? The fortuitous discovery of the first cultivate chile from an archaeological site a few kilometers from Paquimé/Casas Grandes just across the border in northern Chihuahua provides an opportunity to reconsider dynamic history of chile and a time to challenge our common assumptions about chile. Oh yeah, the second common Mesoamerican plant not present in the ancient SW/NW is the tomato.